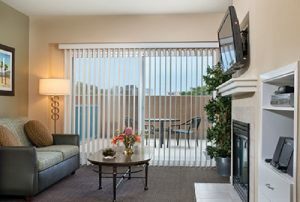 A California Timeshare Resort in Oceanside! 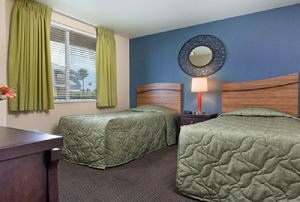 WorldMark Oceanside is located at Oceanside Harbor and is an ideal family getaway. 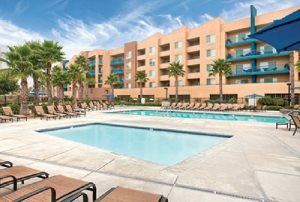 Among the great upscale amenities at this California timeshare resort are an outdoor pool and dedicated children's pool. 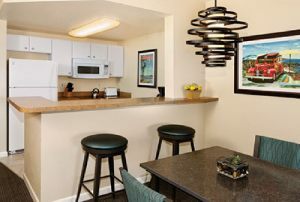 Take a soak in one of the whirlpool hot tubs, let the kids play at the children's playground or sports court. 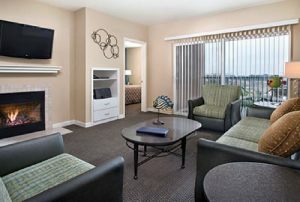 You can also work out in the fitness center or play some of the many games in the recreation room. At the Oceanside Harbor you can go kayaking or jet skiing and even set your boat in the water at the harbor's boat launch. 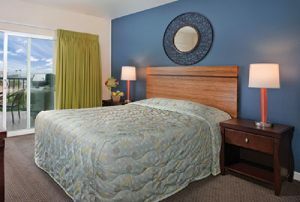 This WorldMark timeshare resort sits near six miles of California beachfront allowing for lot's of room for you and your family to play in the sun. There's lots to do in the surrounding San Diego area too. Check out the Mission San Luis Rey de Fancia, a centuries old mission, or go to the San Diego Zoo, SeaWorld and much more. 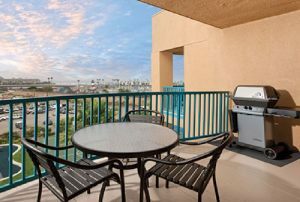 So when you are ready for your California timeshare vacation be sure to consider the WorldMark Oceanside at Oceanside Harbor.